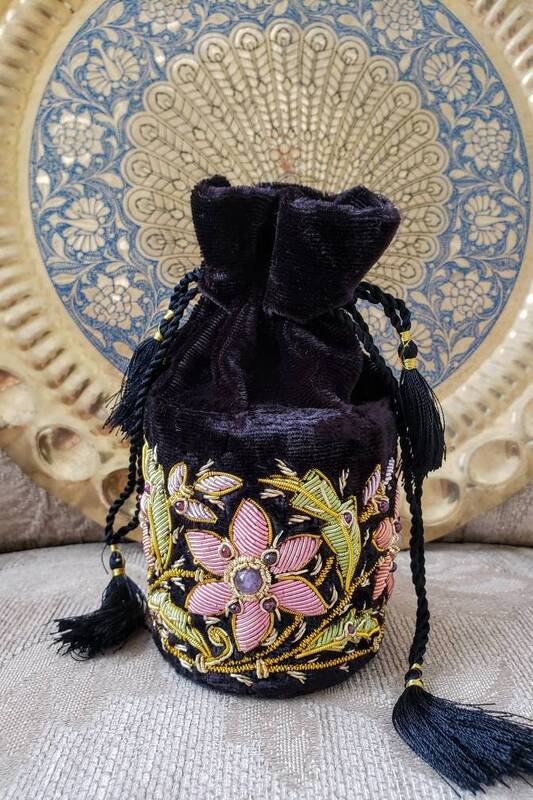 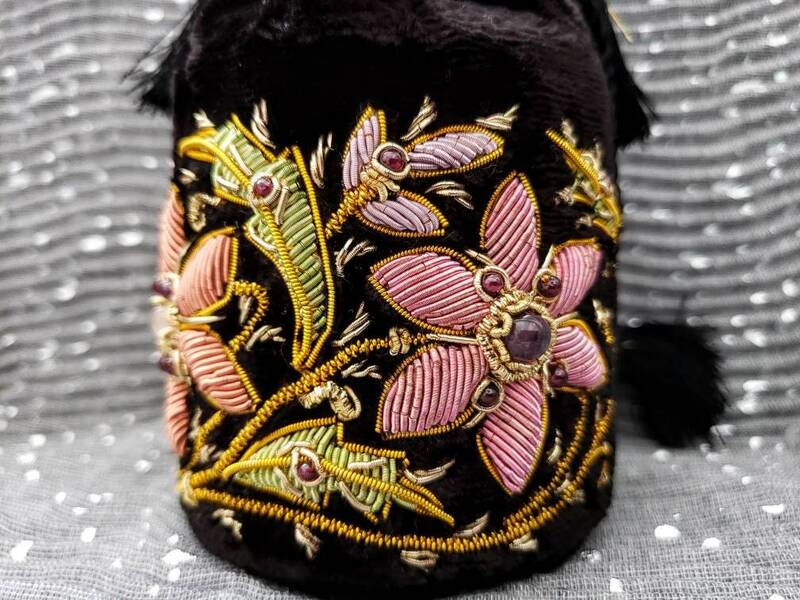 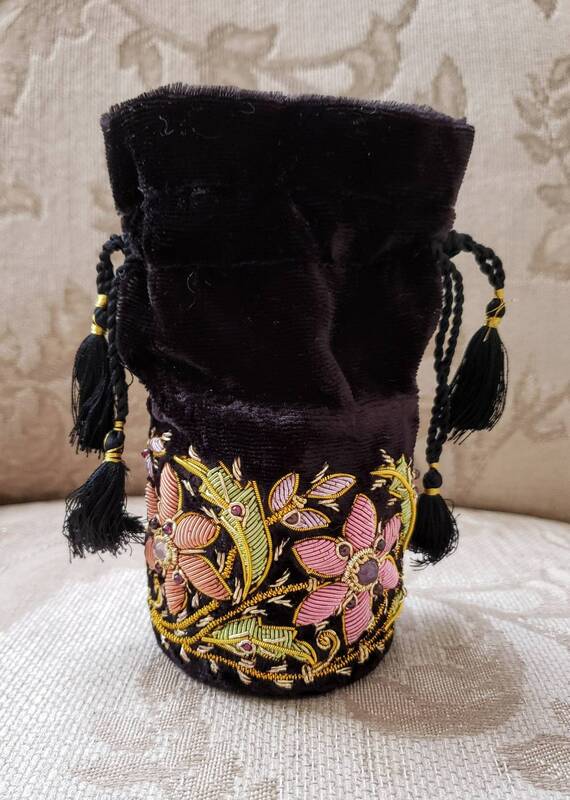 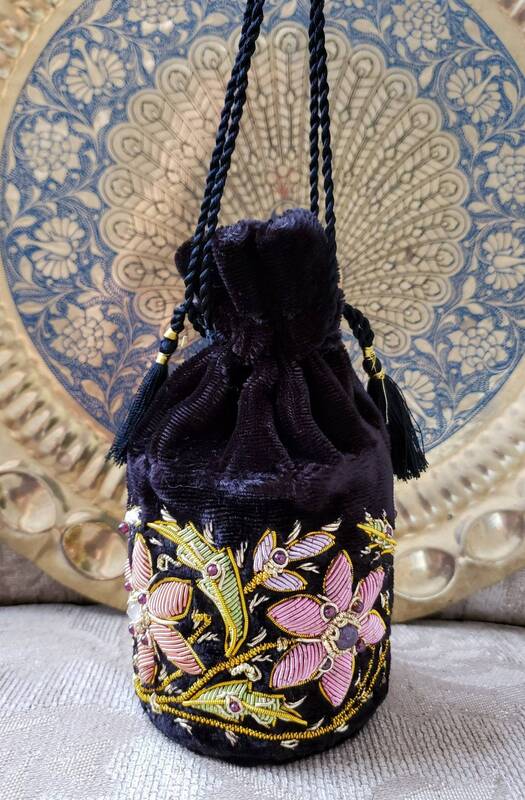 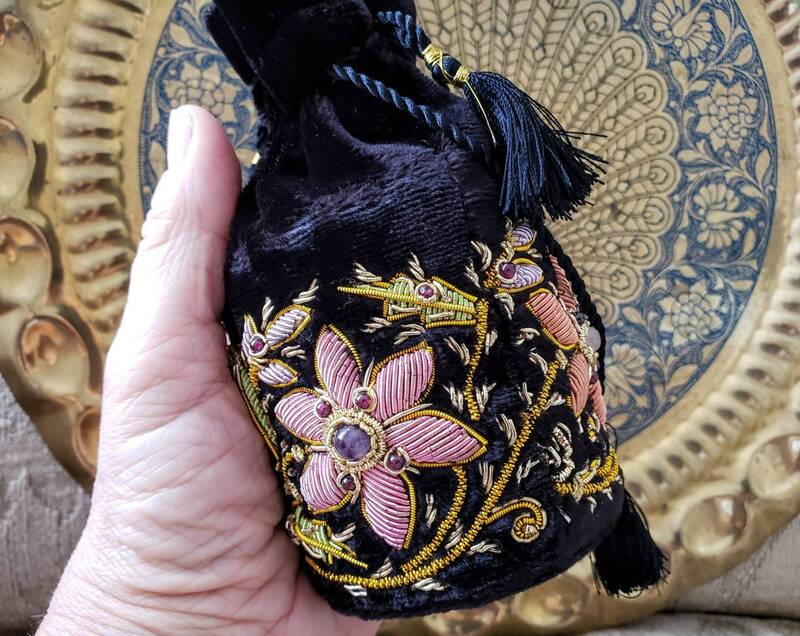 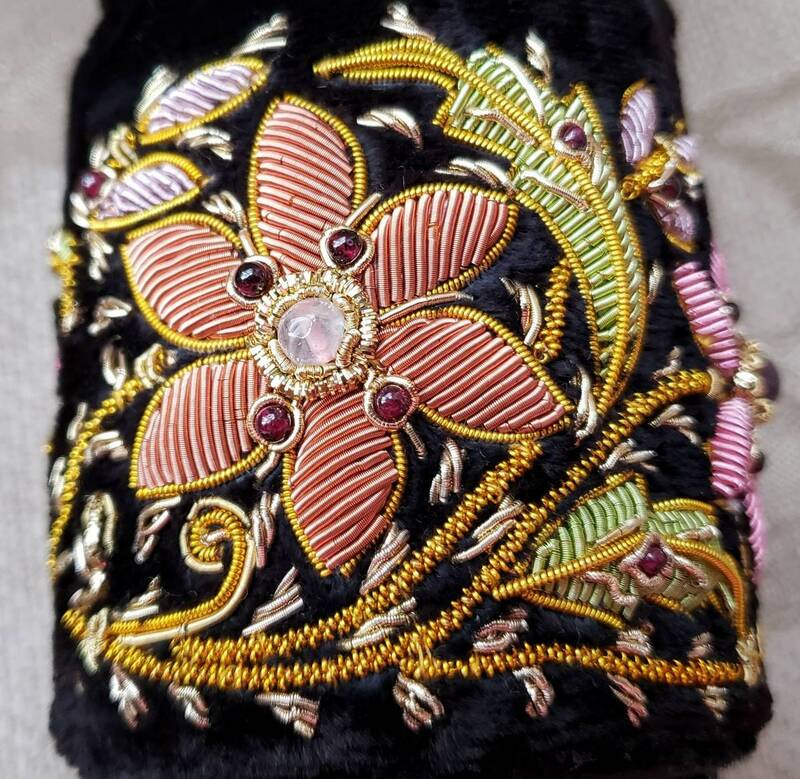 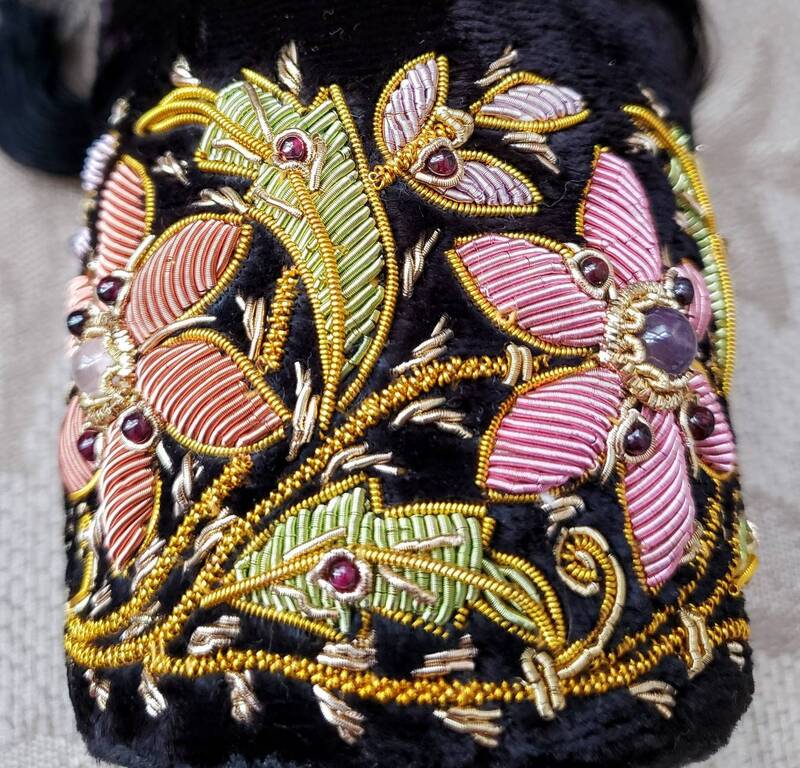 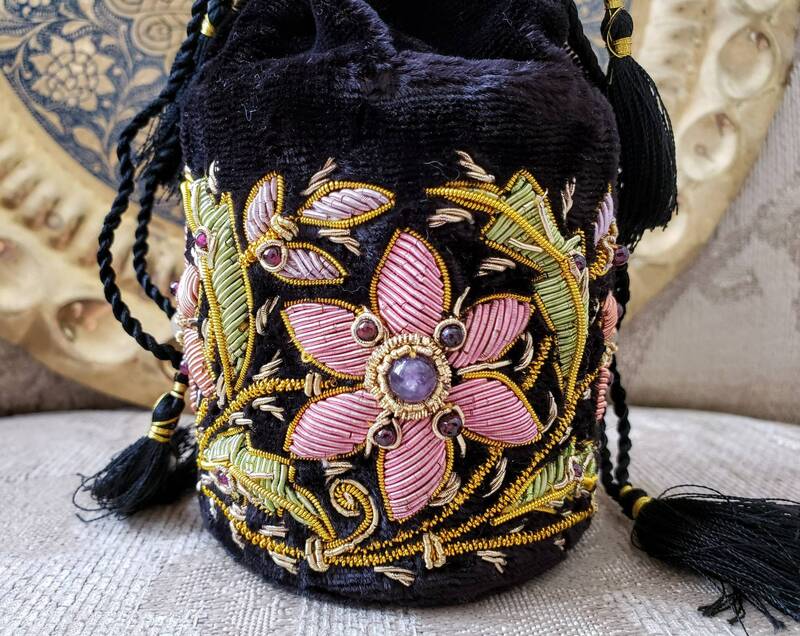 Stunning hand made and hand embroidered black velvet drawstring pouch or potli bag or jewelry bag. 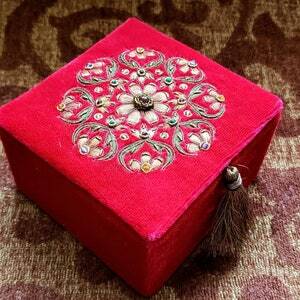 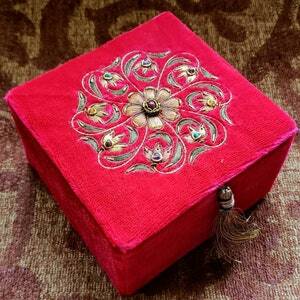 Embroidered using colored metallic threads and genuine semi precious stones, sewn in, creating a 3D effect. 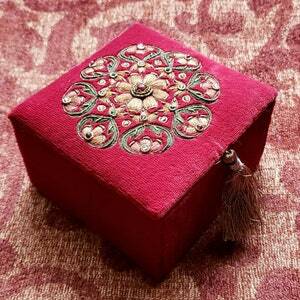 Amethyst and rose quartz. 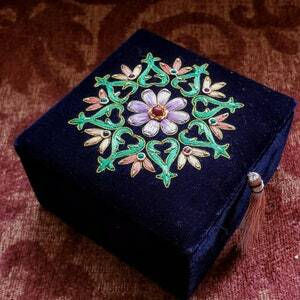 Measures 6 in tall, is a cylinder shape with a flat base of 3 in diameter. 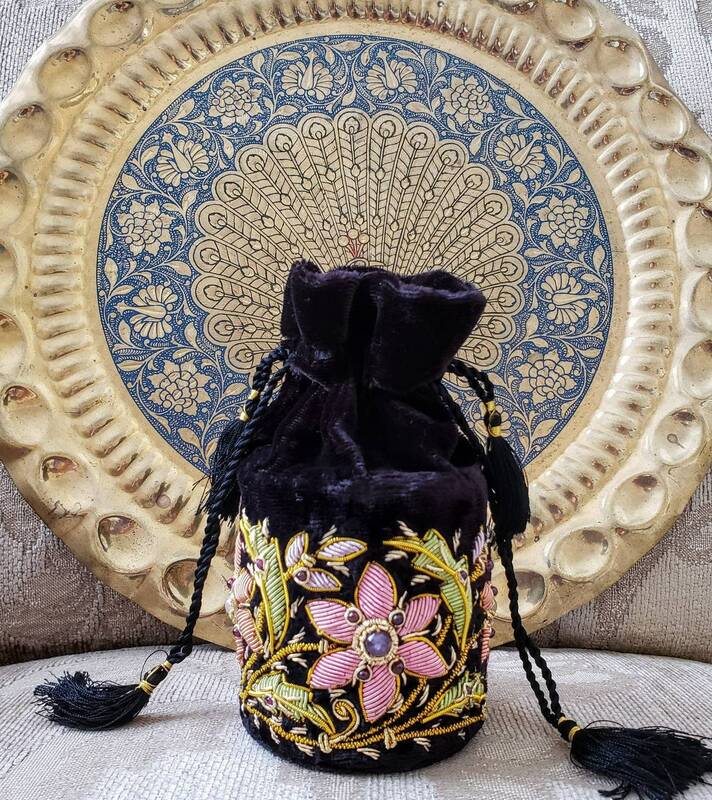 Two sets of corded drawstrings with tassels, pull on the long cords to close the bag, and the short ones to open the bag.